[SatNews] Aerojet Rocketdyne’s (NYSE:AJRD) improved XR-5 Hall Thruster (designated XR-5A) has successfully completed initial on-orbit validation testing on the unmanned X-37 space plane, which is presently on its fourth mission in space. Aerojet Rocketdyne's Upgraded XR-5A Hall Thruster Demonstrates Successful On-Orbit Operation. The Air Force Research Laboratory, Space and Missile Systems Center, and Rapid Capabilities Office collaborated to host the XR-5A Hall Thruster experiment on Orbital Test Vehicle mission 4. 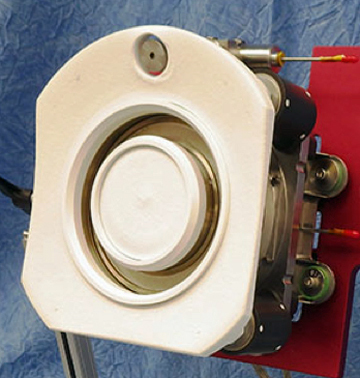 The XR-5A Hall Thruster is an enhanced version of the Aerojet Rocketdyne XR-5 Hall Thruster. Both thrusters are five kilowatt class Hall Thrusters; however, the XR-5A incorporates modifications that improve performance and operating range. Aerojet Rocketdyne has manufactured and delivered 16 XR-5 Hall Thrusters and flown 12 to date. As with most new product introductions, Aerojet Rocketdyne is introducing a product upgrade to incorporate improvements identified after the initial low-rate production and flight programs. Aerojet Rocketdyne has received orders for 64 flight thrusters to date and anticipates a strong future production for both commercial and government markets. The new XR-5A maintains the majority of the design and flight heritage from the original XR-5, with only minimal modifications. The only two changes to the thruster are the outer pole extending around the cathode, and a modification of the cathode position.